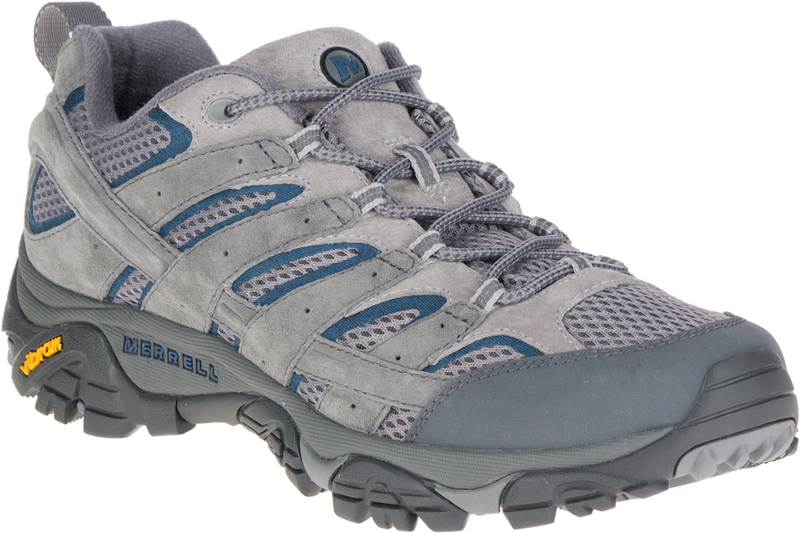 These are nice waterproof shoes, the full-leather model. The interior is mesh lined, which provides nice comfort in summer. 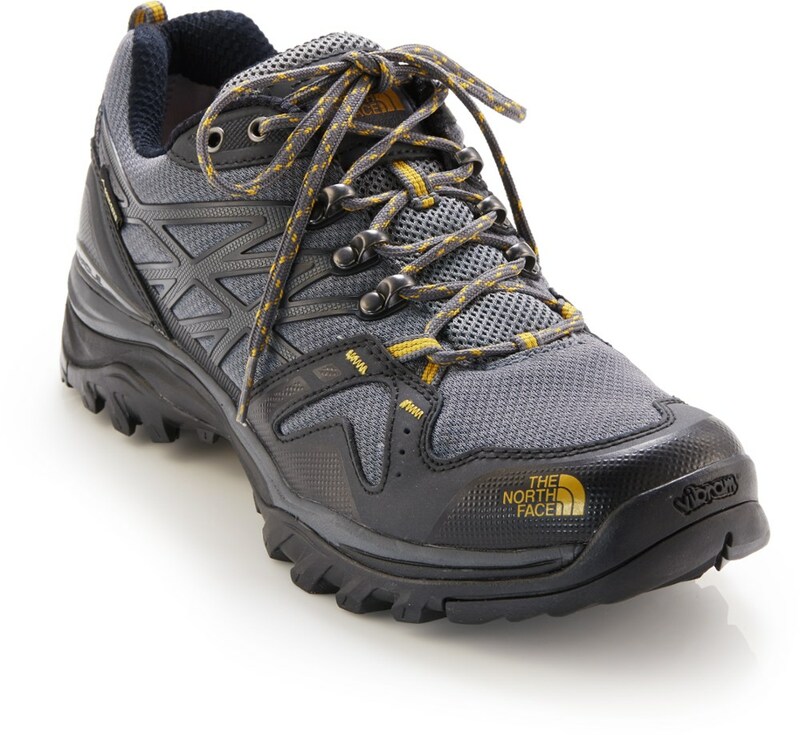 The sole made by TNF is good and provides a good grip on wet terrain. The X-2 shank makes it rigid enough for some rough trails, and still give suppleness to the stride. 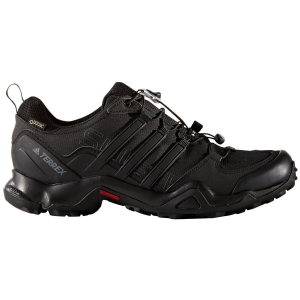 It is really a solid shoe, and quite waterproof, even if there are many seams on the upper. Although it is verrrry comfortable and nicely shock absorbing for long urban outings on the concrete, I wouldn't wear it for trail running. 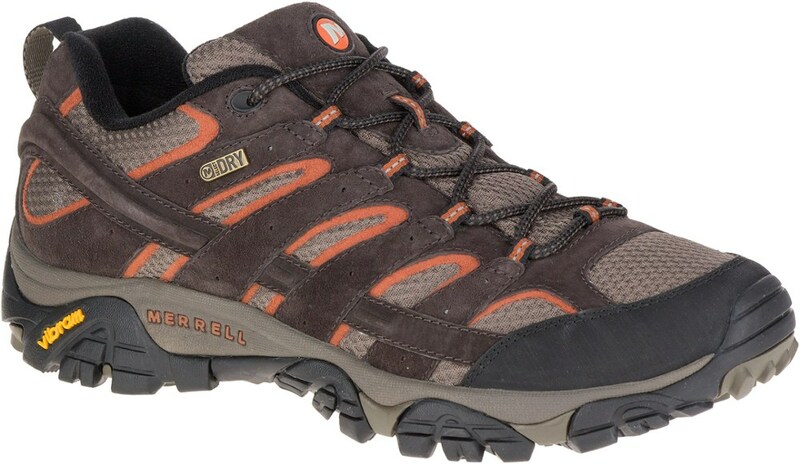 That said, I used them in many many outdoor pursuits, as a camp shoe, or biking, dayhiking, even rock scrambling ( the toe rubber is pretty grippy) and... hitchhiking! Great shoe, little costly but got mine in a discount sale for 50$ !!!! 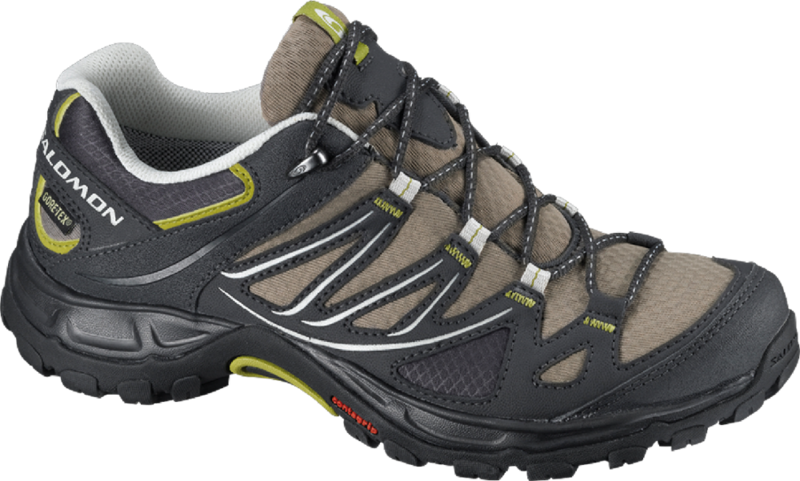 Got these with the Superfeet Synergizer Hiking Footbed (30.00 CND) and it's like walking on a cloud. Except for the round laces that came with the boot these are perfect. 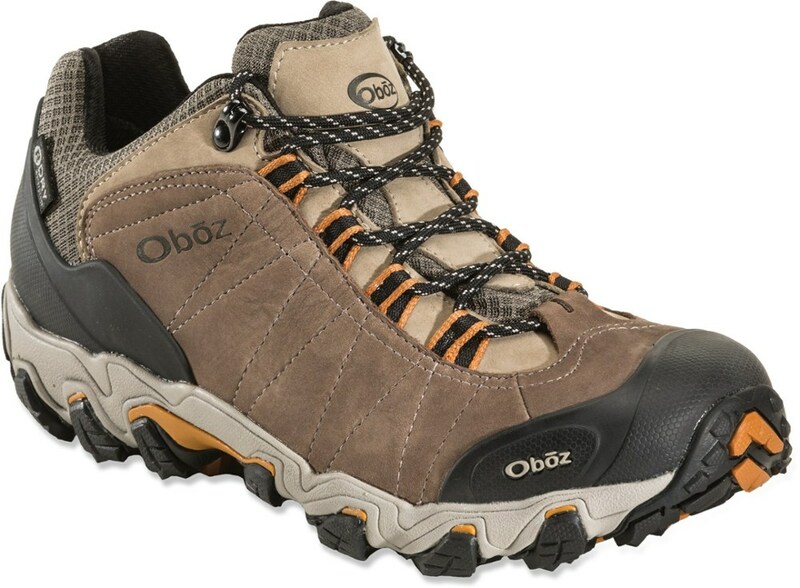 Very comfortable fit and the deep lugs on the sole provide excellent traction. I suggest using the NIK WAX Waterproofing before using these boots. The Triple Divide has been discontinued. The North Face Triple Divide is not available from the stores we monitor. It was last seen sometime before 2006 at US Outdoor Store.